TOKYO -Shares fell in early European trading Wednesday after crude oil prices dipped and mainland Chinese markets were slammed by sell-offs late in the day. Investors were looking ahead to comments from a meeting of the European Central Bank. Germany's DAX slipped 0.2 percent to 10,325.35 and the CAC 40 of France lost 0.4 percent to 4,550.55. The FTSE 100 of Britain shed 0.4 percent to 6,377.22. Wall Street looked set for a tepid start, with both Dow and S&P 500 futures virtually unchanged. Benchmark U.S. crude fell 95 cents, or 2.2 percent, to $41.53 a barrel in electronic trading on the New York Mercantile Exchange. At one point it fell by 2.8 percent to $41.30 a barrel. It rose 84 cents on Tuesday. Brent crude, the international benchmark, slipped 87 cents to $43.16 a barrel in London. Investors are closely watching for what ECB President Mario Draghi might say at the news conference later this week. Doubts persist whether the stimulus measures the bank has taken are really working, such as cutting interest rates and expanding a government bond-buying. "Sentiments will be driven by the ECB President Draghi when he speaks," said Alex Wijaya, senior sales trader at CMC Markets in Singapore. "In his previous speech, Mr. Draghi hinted that the deposit rate won't be cut further into negative territory. However with persistent low inflation and the euro now trading at six-month highs, Mr. Draghi could possibly backtrack on his previous statement and consider a further rate cut to fight deflationary pressure." Japan's benchmark Nikkei 225 edged up 0.2 percent to finish at 16,906.54 and Australia's S&P/ASX 200 added 0.5 percent to 5,281.20. But most other regional markets fell. South Korea's Kospi fell 0.3 percent to 2,005.83. 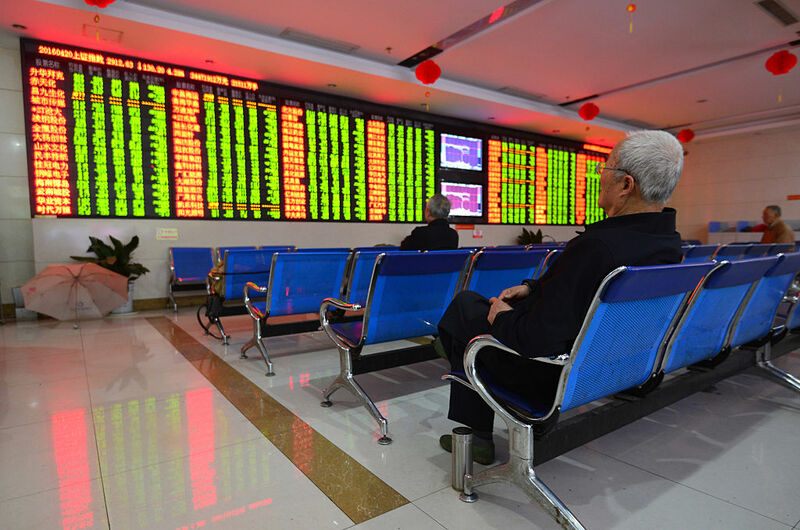 Hong Kong's Hang Seng fell 0.9 percent to 21,236.31, while the Shanghai Composite slipped 2.3 percent to 2,972.58, after dipping by over 4 percent toward the end of the day. In currency markets, the dollar rose to 108.96 yen from 109.43 yen. The euro also rose, to $1.1365 from $1.1336.